A beautiful yard is largely the result of how much time you put into it, not including the money spent to be able to upkeep. Here in the desert of New Mexico and West Texas we as residents know how important water is to life much less to trying keep your lawn alive. Well we have a solution for you, using one of our synthetic turf lawns we can provide you with a yard that retains the look and feel of natural grass while saving you the time and money spent on upkeep, while also conserving our precious resource of water. Our Shaw landscape turf will provide the best turf solution for your dead patchy grass, rough uneven surfaces, your unusable gravel backyard, and you’d be surprised what it will do for the dust and dirt from your sand backyard. 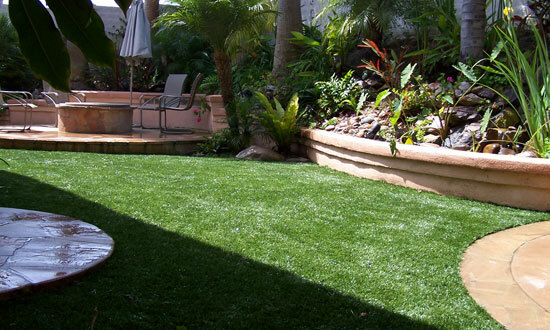 Our Shaw Landscape turf is the perfect choice for your pet’s kennels, dog runs, and for dogs that call the entire backyard home. Artificial grass means no more yellow spots in your lawn, dug up holes around the yard, and no more tracking dirt and mud into the house, just a clean dog and a beautiful lawn. Our professionals will work with you to design a yard built to your specifications, and with a variety of turf styles ranging from traditional bluegrass and long blade fescue to winter rye, short Bermuda and centipede you’ll get exactly the yard you want! 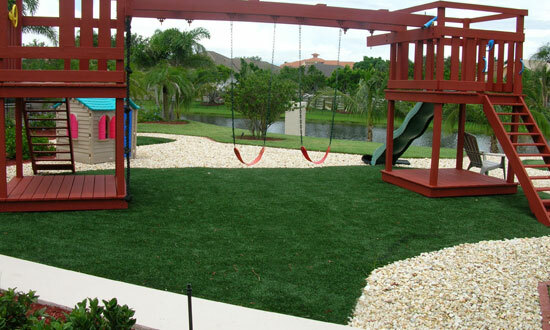 Those who have made the switch to synthetic turf lawns see it as one of the best decisions they’ve ever made. Join those who’ve made the switch to a pristine and perfect yard year- round with a little help from Southwest Greens.